A new Dorothy Parker show is coming to Washington, D.C.
Dorothy Parker was a wit, a social observer with an acid tongue, a critic of the rich and a compassionate advocate for the less fortunate. She was a brilliant writer in many genres- poetry, short stories and play and book reviews. WIT & WRATH is an edgy, fleshy, literary homage to Mrs Parker, the most widely read and quoted woman of the 1920s. 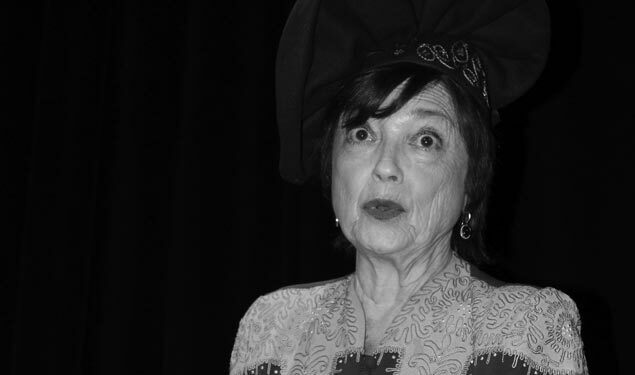 It offers audiences the opportunity to enjoy and appreciate the witty, outrageous Dorothy Parker and her writings, which have certainly stood the test of time. Claudia Baumgarten, the artist who conceived and created the show, has had a 10 year romance with the writings of Dorothy Parker. After having read almost every word written by or about Mrs. Parker, Ms. Baumgarten composed a solo show highlighting her fascinating life and remarkable work. Dubbed a “brilliant tour-de-force performance from Baumgarten”, the show debuted with much acclaim to sold-out audiences at the 2014 and 2015 Tennessee Williams Festival in New Orleans. Are Dorothy Parker’s self-deprecating quips, biting theater critiques and incisive social observations relevant in the 21st century? See for yourself!